For those who frequent the walmart aisles, you may remember that last year they all had matching grey containers. They spiced up 2018 with a bit of color coding. 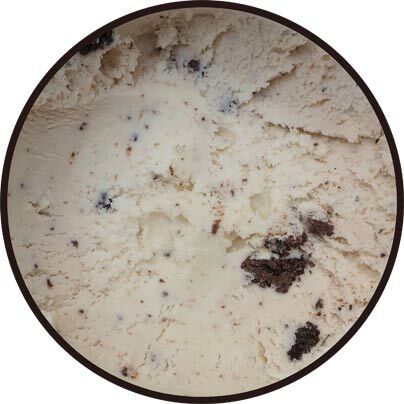 Now the cookies & cream has that off-white (slightly brown) coloring that should imply a nice cookie wafer flavoring to the base. Unfortunately it doesn't stand out as much as I had hoped. At first I thought maybe just the top was freezer burned, and granted this is the old packaging, but the sell by date on the grey pint is just two months before the sell by date on the restyled mint pint. There's just an oddness to the flavoring. It really does taste more like freezer than cookies. Ahhhh bugger. Not sure how much more I should say.... yeah, I take a few more bites and this one has been freezer wrecked.. that or this one just has the awful aftertaste of skim milk for no reason whatsoever. 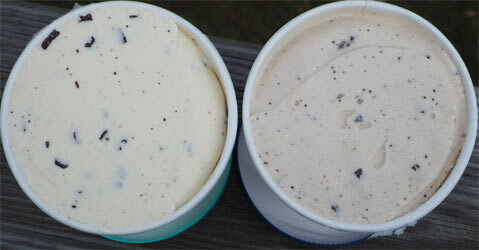 On Second Scoop: Meh everytime. Stupid aftertaste. 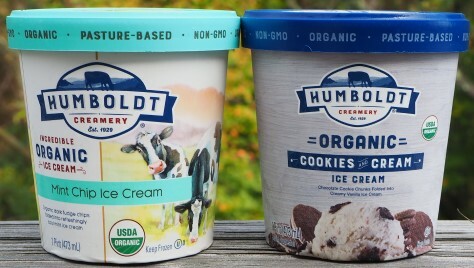 *History Note: When you find a 12 year old article pointing out how disappointing Humboldt Creamery ice cream is. On to the mint and boy did it hit the spot! 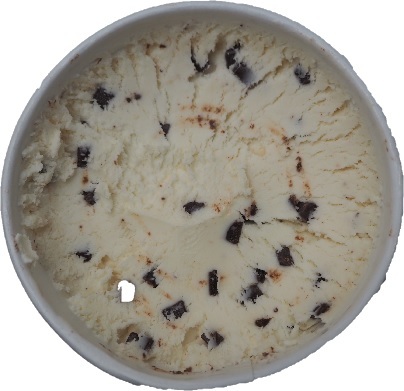 Yes, it's a little gummy for an all natural ice cream, and technically the tiny chocolate chips are just a little too truffle-y (soft), but these are minor complaints as I inhaled my first serving. I don't even think I was in the mood for mint and it still went down really well. Definitely not perfect but more than good enough for a mint fix. Closing Thought: Humboldt pints seem to be disappearing again. Anyone else notice that?